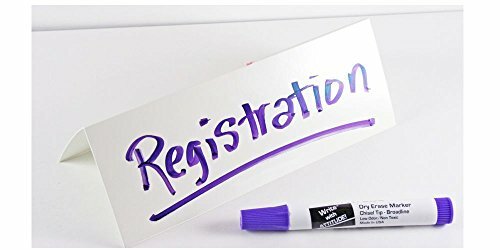 Dry Erase Table Tent Cards-50 per pack-write on both sides. Write on, then wipe-off these reusable table tents. Both sides of the A-Frame table tents may be used. Write on both sides of our 8" x 2.875" table tents! If you have any questions about this product by Whiteboard, contact us by completing and submitting the form below. If you are looking for a specif part number, please include it with your message.